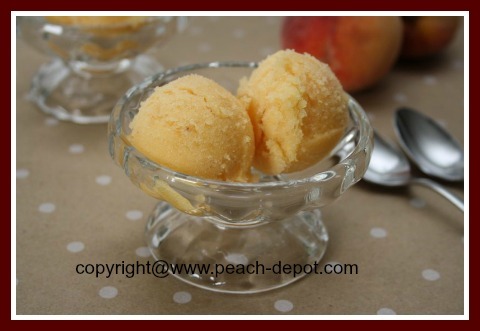 Make this Peach Sorbet Recipe at home using an Ice Cream Maker, a frozen peach dessert that is my husband's very favourite homemade sorbet! And it's a low-fat recipe too! 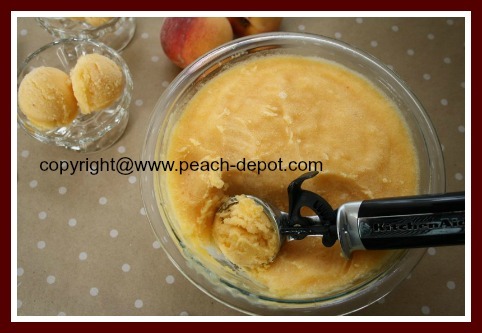 Once you've tasted this amazing peach sorbet, you won't want to eat sorbet (or ice cream) out of a box again! Making homemade ice cream or sorbet using an ice cream machine is so incredibly easy and YOU control what goes into the recipe. Before I had an ice cream maker I thought that making homemade frozen treats must take so much time and effort ... but after purchasing my Cuisinart Ice Cream Machine, I have experienced how simple it is ... turn the machine on, and after about 20 minutes ... it's done! 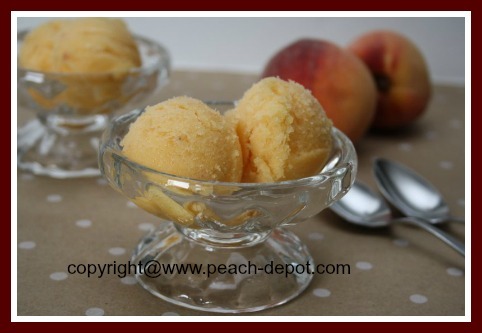 AMAZING Homemade Peach Sorbet Recipe! Peel, pit and slice the peaches. 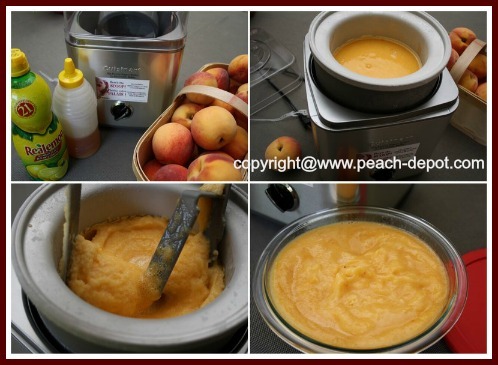 Using a blender, puree the peach slices with the maple syrup (or honey), water and lemon juice. Pour the mixture into the canister of the ice cream machine, and process following manufacturer's instructions. (I have a Cuisinart Ice Cream Maker, and I processed the mixture for about 20 - 25 minutes). Transfer to a freezer-safe bowl, and freeze over-night. 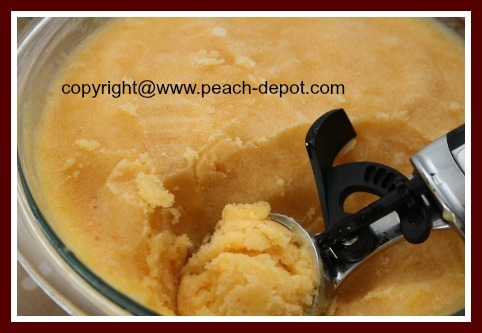 Makes about 2 quarts of healthy, low-fat, scrumptious peach sorbet. Here (below) are several great models of Ice Cream Maker Machines, available for online purchase at *Amazon.com. Also some examples of ice cream recipe books. I use the Cuisinart Model, the second model below. It works amazingly!